WOW! This is the best price yet and valid today only. Offer ends 12/21/17. Right now, Amazon has the Garmin Vivorfit jr. 2 for only $49.99 (Reg. $99.99). Are the kids asking for a Fitbit for Christmas? I can't tell you how happy we are with the Garmin vivofit JR. Not only does this activity tracker do everything a fitbit does, it also includes chore management and schedule alert tools for parents. There is also a game they can unlock a move each day by meeting a 60-minute daily activity goal. My daughter has loved being able to hear the sound when she's met her activity goal for the day. It's such a great option to get the kids off the tablet and tv and up and moving. You can also set points and rewards for doing chores. Also on sale is the original Garmin vivofit JR. for $49.99. The difference is the character brands and this one has a black and white screen. Here are the different band options. Looking for a convertible car seat? Hurry over to Amazon and get the Graco 4Ever 4-in-1 Convertible Car Seat, Azalea for ONLY $168.74 (Reg. $299.99). I just purchased 2 of these yesterday and can't wait to get them tomorrow. 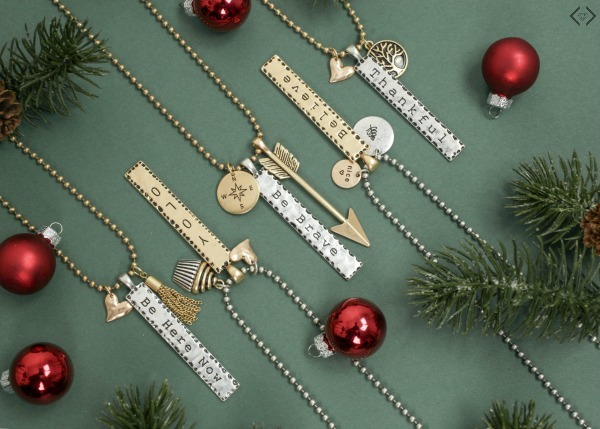 Now through December 6th, grab these Charm Necklaces for ONLY $11.99 Shipped. Use code: CHARMGIFT at checkout. 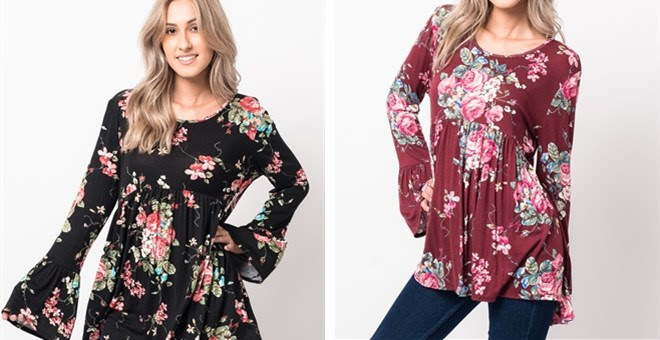 I'm loving this Floral Gathered Top for ONLY $16.99 Shipped (Reg. $55.99). Estimated to ship by Friday, Dec 8. Valid 12/1-12/3. Don't miss this freebie. 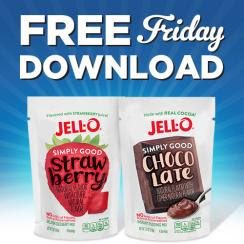 Today Only, sign into your Kroger Plus Card account and get the Free Friday Download for 1 FREE Jell-O Simply Good Instant Gelatin or Pudding Mix (3-3.9 oz., any variety).)! Limit 1 per household. Personalized Family Circle Handle Cutting Board ONLY $20.90 Shipped! How cute are these?!?! 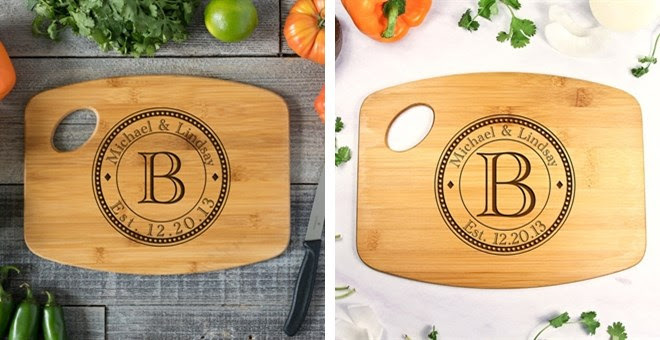 This weekend only, get this Family Circle Handle Cutting Board for only $13.95 (Reg. $45). Shipping is $6.95 for the first item and $5.95 for each additional item. US only. Estimated to ship by Friday, December 15th. Fashion Friday ~ Flannel Tops Under $20 Shipped! 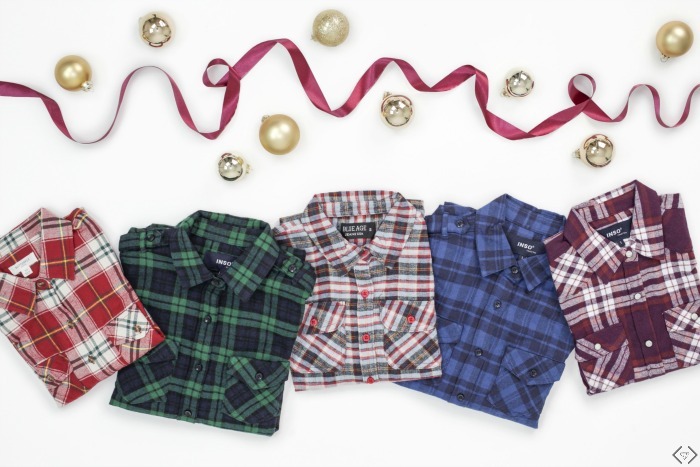 Celebrate Fashion Friday with Flannel tops 40% OFF + FREE Shipping w/code FRIDAYFLANNEL. All tops are under $20. Shopping for the hard to buy for person? Right now, Best Buy has the Google Home 2 Pack for only $129.98 (Reg. $258) shipped! Looking to buy a TV? Today only, Best Buy has the LG - 60" Class (59.9" Diag.) - LED - 2160p - Smart - 4K Ultra HD TV for only $599.99 (Reg. $899.99). *HOT* Call of Duty WWII $37.99! 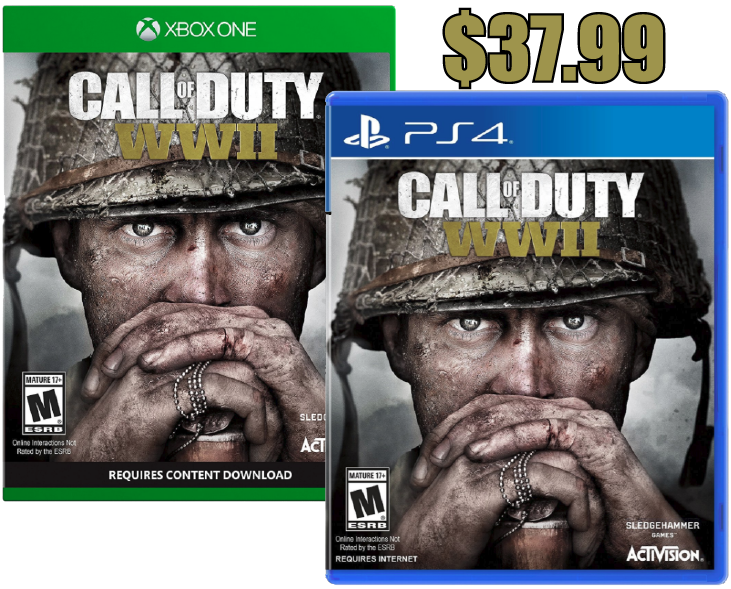 Today only, hurry and grab the popular Call of Duty WWII game for PS4 or Xbox One for only $37.99 (Retail $59.99) before it sells out. 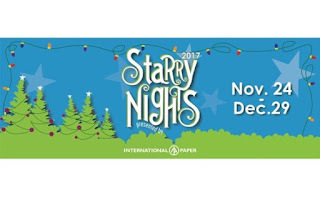 *HOT* Shelby Farms Starry Nights Tickets Half Price! Hurry! If you've been thinking about heading to Starry Nights at Shelby Farms this year, hurry over to Get My Perks today and grab half-price tickets before they sell out! Promotional value expires 12/29/17. Limit 1 ticket per purchaser; 1 additional ticket may be purchased as a gift. Valid only for 2017 Starry Nights. Tickets good for 1 car, minivan, or truck. Tickets can be redeemed at the VIP Entrance off Mullins Station Rd at Gate 10. Not valid toward purchases at Mistletoe Village, Starry Carriage Rides, or Starry Hayrides. Sales tax may apply to orders. A shipping and handling fee of $1.15 will be applied to all orders. No cash back; no cash value. St. Jude Giftshop Cyber Monday Sale ~ 20% off = Awesome deals for a great cause! Shop Cyber Monday at the St. Jude Giftshop and save 20% off all orders. Shipping is free on orders over $100. There are so many awesome deals you can get for gifts and support St. Jude. I love this Swirl Back Design Tee for only $20.80 (Reg. $26). 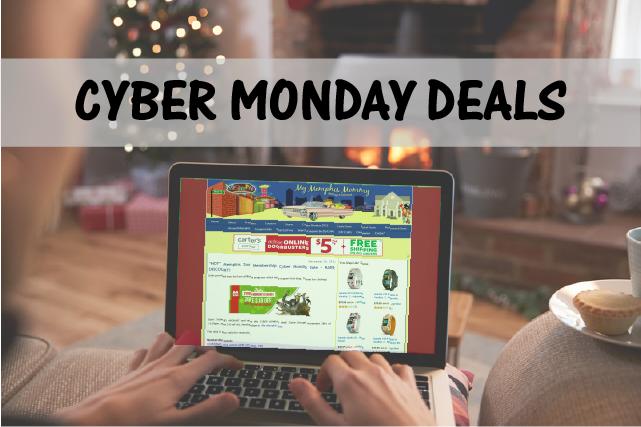 2017 Cyber Monday Deals Round Up! Shopping this Cyber Monday? Here's a round up of a few of my favorite national and local retailers. 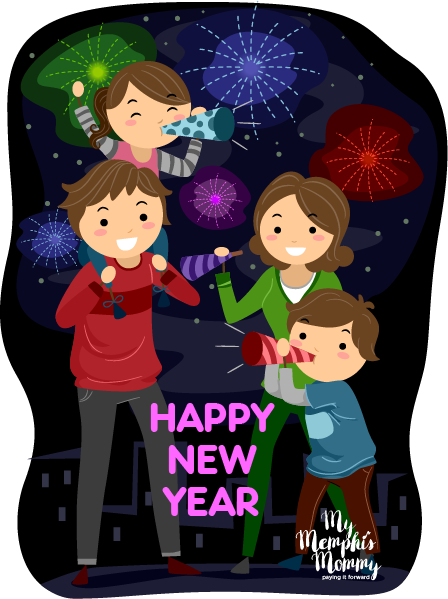 •Germantown Incredible Pizza: Buy a $25 Gift Card & Get a $10 Game Card Free! 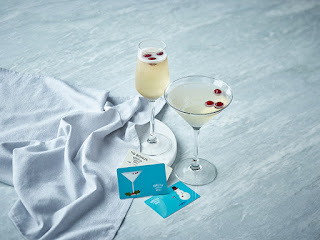 -Buy a $100 Gift Card & Get a $75 Game Card Free! -Buy a $50 Gift Card & Get a $25 Game Card Free! •Memphis Zoo: $10 off ALL New and Renewal Memberships. •St. Jude: 20% off ALL orders. •123inkjets: Save 20% on Ink & Toner! Use code 123CYB. FREE Shipping on all orders, excluding OEM items. Valid 11/20/17 -12/1/17 at 11:59pm PST. •Banana Republic: 50% off everything at bananarepublic.com. Absolutely no exclusions. Restrictions apply. Online only. Ends 11/27. •Barnes & Noble: Take 30% Off One Toys & Games Item. •Bass Pro Shops: Cyber Week deals + FREE SHIPPING with code: 7HOLIDAY. •Build-A-Bear: 40% off select Make-Your-Own furry friends. Valid 11/26 to 11/28. •Burts Bees Baby: Sleepers $8. •Crayola: 30% off Sitewide + Free Shipping on $30+ order with code CYBER. •Discount School Supply: 25% off all stock Using Code: SALE25 OR Free Shipping On Orders Over $25 Using Code: 25SHIP. •Forever21: Cyber Monday Deals and get 21% Off with code CYBER21! Valid 11/27-11/28. •Gap: Get 50% off everything, includes 628 never-before-seen styles. No exclusions and free shipping, no minimum. Use code CYBER at gap.com. Online and in store. Restrictions apply. Ends 11/27. 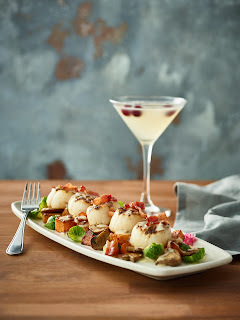 •LivingSocial: 25% off with code CYBER25 at LivingSocial. Excludes travel, goods, & sale items. Valid 11/27 12:00am ET through 11/28 11:59pm PT. Up to $50 discount per deal; Restrictions apply. •Michaels Stores: 30% Off Entire Online Order + Free Shipping (No Minimum)! •Office Depot and OfficeMax: Thousands of items on sale. •Old Navy: 50% off everything + Free Cozy Socks with any order. Use code COZY. •Petco: Cyber Monday Savings + Free Shipping. •Pier1: Free Shipping Sitewide at Pier 1! Use code FREESHIP. •Restaurant.com $2 for $25 Certificate with code: CYBER. •shopDisney: 30% off $150, 25% off $100, 20% off $75 and 15% off $50. Code: CYBRRR. Valid 11/26/17 6:00 PM PST-11/27/17 11:59. Some Restrictions Apply. *HOT* Memphis Zoo Membership Cyber Monday Sale - RARE DISCOUNT! 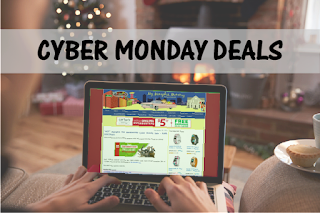 Don't "MONKEY AROUND" and miss this CYBER MONDAY deal! Today through November 28th at 11:59pm, save $10 off ALL Memberships to The Memphis Zoo. This deal is also valid for renewals. 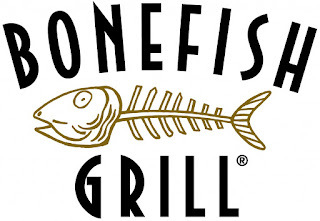 New Bonefish Grill Winter Menu Review! Are you tired of Turkey yet? Let me tell you about an amazing dinner we had last week at Bonefish Grill-Collierville. With a 6 year old and 10 month old, date nights are pretty rare. When we do have the chance to get out just the two of us, we love going to restaurants we know our entire experience from the time you walk in the door until you leave will be amazing. Last week we were able to venture to the other side of town in Collierville and visit Bonefish Grill. We arrived for our reservation time and were promptly seated and greeted by our wonderful waiter. 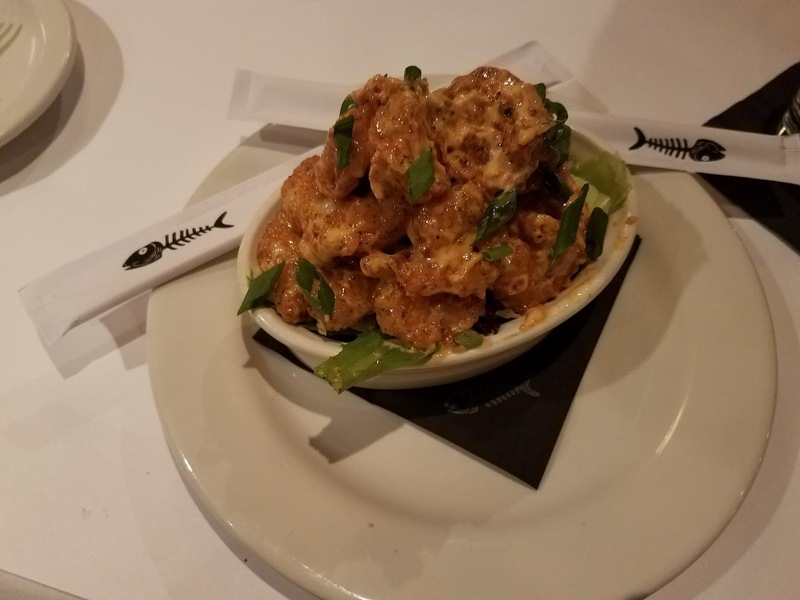 One of our favorite items there is the Bang Bang Shrimp which we started our meal off with. 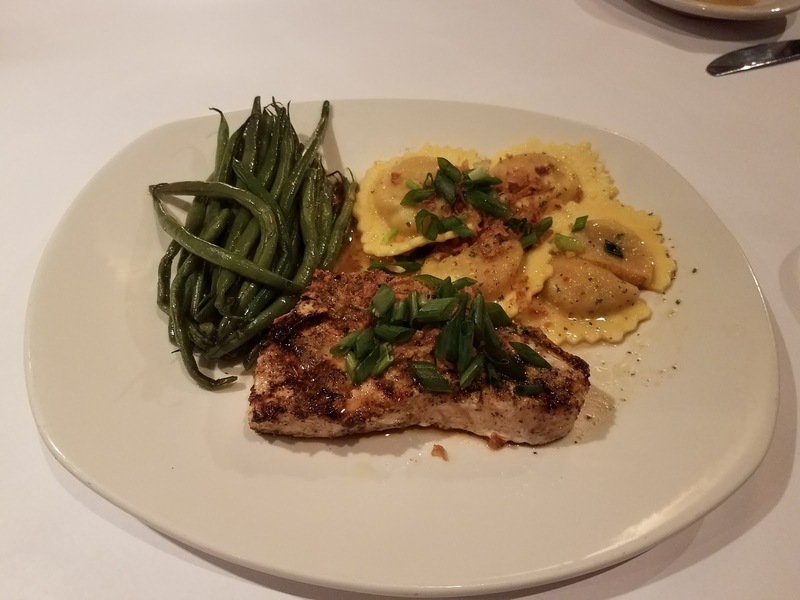 For the entrée, I went out of my comfort zone and got the Fresh Swordfish & Pumpkin Ravioli. O MY! I was shocked how amazing the Pumpkin Ravioli was. 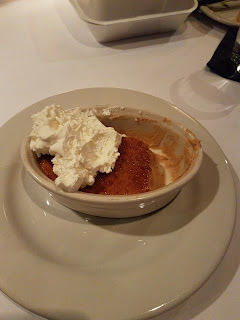 For dessert, we shared the Pumpkin Crème Brulee. (I probably should of ordered my own. )☺ Even if you are not a big pumpkin fan, this is a must try dessert. Overall the entire meal was so pleasant and enjoyable. For a limited time, enjoy delights like Imperial Dip – tender shrimp, bay scallops, lump crab and lemon caper butter, served with seasoned house made tortilla chips. 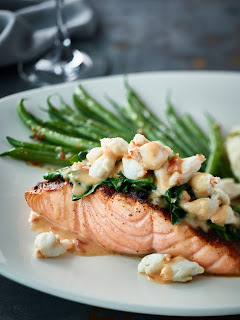 •Rheas Norwegian Salmon, wood-grilled fresh Norwegian Salmon, topped with jumbo lump crab, sautéed spinach and lime tomato garlic sauce. 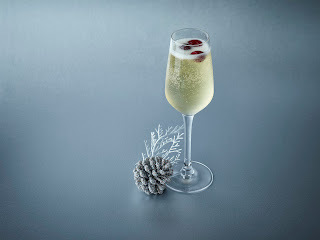 Pair these with Bonefish Grill’s signature seasonal cocktails – like the guest favorite of the year the Winter White Cosmo or the new version, the Winter White Bellini (available Dec. 14 – Jan. 1), a mix of dry sparkling wine, St. Germain Elderflower liqueur and white cranberry juice, garnished with frozen cranberries. Guests can end their meal with seasonal Chocolate Crème Brulé (starts December 5), an indulgent twist on a classic dessert made in-house with a splash of Grand Marnier. At Bonefish Grill, Happy Hour starts early to celebrate the holiday season. 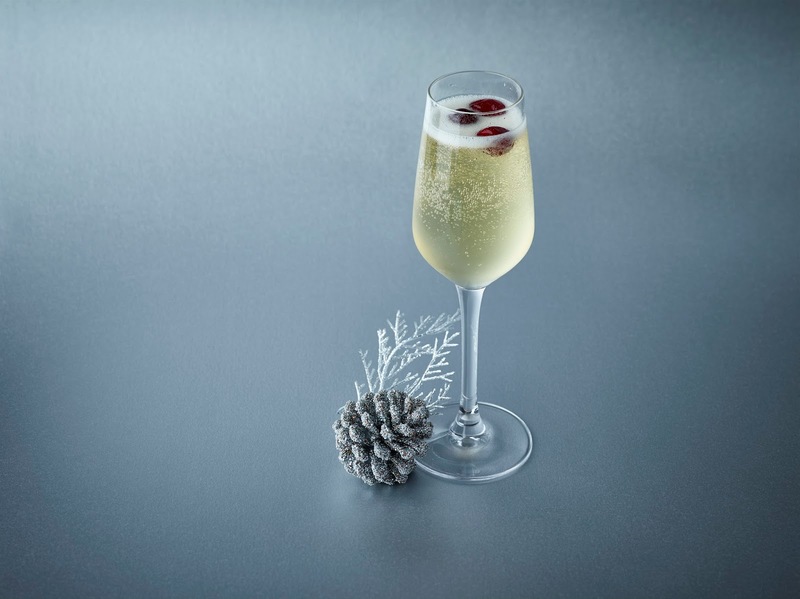 From December 14 – January 1 starting at 11 a.m. every day, enjoy delicious Bar Bites at $6 each and handcrafted cocktails and martinis for just $5. If looking for holiday gifts in addition to a great meal, receive a $10 Bonus Card for every $50 purchased in gift cards now through December 31. 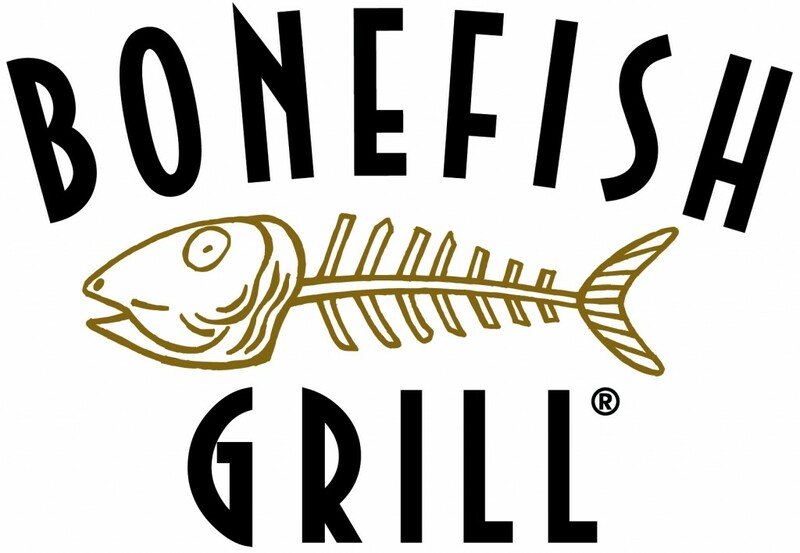 Plus, enjoy free gift card personalization with a greeting card and free standard shipping when purchasing on BonefishGrill.com, or pick them up at your local restaurant.